BlackwaterBLUE from monkster.com: Do we need to sign more players? Do we need to sign more players? We learned the other day that Chelsea lost out on signing Javier Pastore to PSG. Many thought that the 22-year-old would be the first big name signing for new coach Andre Villas-Boas. Instead he joins a growing list of players who appear to have opted for other clubs. When Andre Villas-Boas arrived in June there were many 'big' names being linked to the club: Neymar, Sergio Aguero, Falcao, Joao Moutinho and Luka Modric have all been connected with a possible move to Stamford Bridge. Neymar has publicly said he preferred Real Madrid; Sergio Aguero chose Manchester City; Falcao signed a new contract with Porto; Moutinho and Modric's respective clubs have declared "hands-off" warnings. What this all amounts to is a question of whether or not Villas-Boas has a desire to sign players of this type. Or is it simply that "if it ain't broke, don't fix it"? One player is all that the club needs. 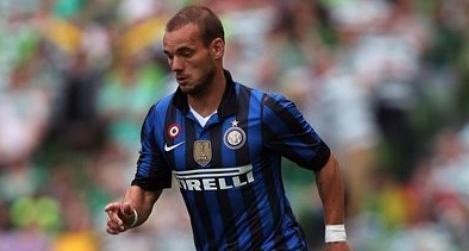 With all the speculation around Modric, perhaps it's time to take the plunge and make that final bid or, better still, look to gazump Sir Alex and make a radical move for Wesley Sneijder. The signing of new players is important for a big club like Chelsea. Beyond the fact that we need to continue to grow and build as a team, we also need to be relevant in the media and attract fan interest, globally. Sneijder ticks all the boxes. If Chelsea are edging towards a rumoured £40m bid for Spurs' Croatian midfielder, which looks more and more likely this week, then it makes more sense to pursue Inter Milan for the services of the Dutch maestro. He offers a greater range of ability than that of Modric and would fit perfectly into Villas-Boas' team make-up. Many would argue that, given the strength of the performances on tour, Chelsea do not need to make any signings: an exponential rise in play from game to game was clearly evident. Each time they took to the pitch they seemed more fluid. Not to mention they are the only top Premier League side that has kept clean sheets in all of their preseason games. In principle, I don't disagree but I do believe we would benefit greatly from added creativity and sparkle in midfield.